At Mekes we like to discuss projects and technical issues with so called end-users, printers and binders. It is exciting, requires responsibility, it is technically challenging etc.. The demanding market is, however, currently in overseas territories. 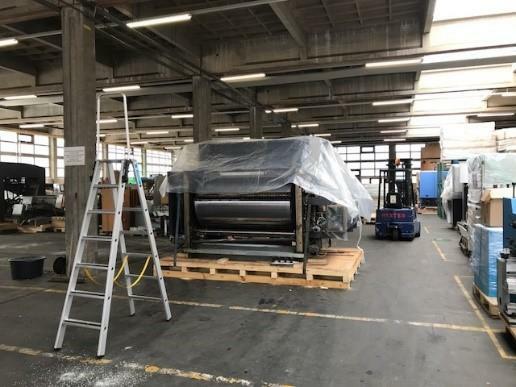 The sheetfed offset printing presses are getting longer being 8, 10 or even 12 and 14 colours with or without coaters, sheeters and others and the sizes are getting larger and can even reach the size of 1510 x 2050 mm (KBA Rapida 205). This is of course also a challenge about lifting heavy weights, special tools and transport, packing to be protected. Last year we became a Roland 904 size 7B (sheet size of 1200 x 1600 mm) from a bookprinter. 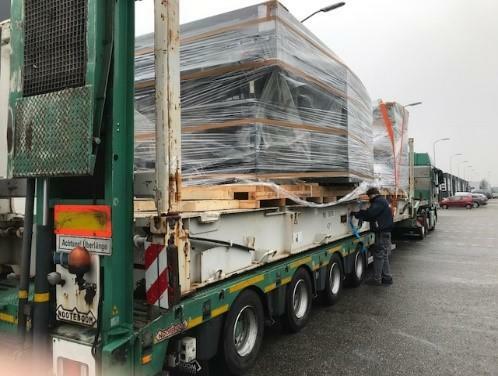 We have dismantled the press in Torino Italy, took this out of the factory in difficult circumstances and brought the press with five trucks to our warehouse in Roosendaal. We could find a Chinese customer some time later. For the oversized feeder and delivery a special flat rack is needed for transport. 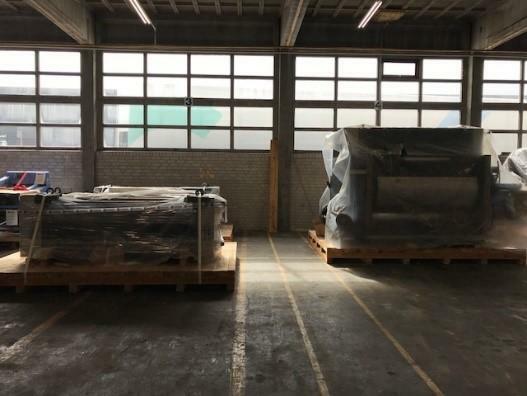 The print-units, the inking unit dismantled on top, are still very heavy and weigh about 14.000 kg each. These units will fit into a 40 inch container with a few centimeters at side to fix for long time overseas transport.